The number of leads that are obtained at a trade show that are mishandled is astounding. Whether you are exhibiting to increase business or have a communication need such as brand reinforcement, the contacts you make at trade shows are of value and that value decreases each day they go unanswered. Perhaps understanding the reasons why this happens will give you a heads-up and ensure that the proper preparation is done ahead of time. Lack of planning – Being away at a show for an extended period means that your work at the office is piling up. As good as your intentions are, often the work on your desk gets priority over the show contacts that are fresh and approachable. Conflicting roles. If the sales and marketing departments have a different focus and have not discussed their goals, the show leads may end up with the wrong group where follow-up is put on the back burner. Logistics versus Strategy. All too often the focus of the exhibit program is on logistics: taking care of the electrician, the shipper, travel arrangements and so on and spending time thinking about your reason for exhibiting and how to convert your objectives into real business opportunities often falls by the wayside. Poor lead collection. A fist-filled with business cards are not leads. They are a waste of everyone’s time. 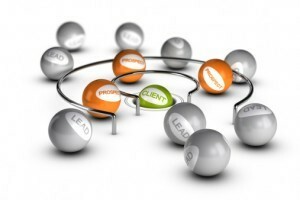 Good quality leads require the collection of the pertinent facts about the contact and an acknowledgement from the contact that they would welcome a follow-up. Time management. Show visitors leave excited about having found new business solutions. If you leave your first contact for weeks after the show, that initial excitement will have cooled off and the chances of doing real business is lessened. Using the wrong resources. Sales people are not necessarily the right people to do follow-up. Consider using dedicated marketers to turn the contacts from warm to hot before they are turned over to the sales force to close. Good intentions. The world is filled with good intentions but it takes more than that to build a business. Follow-up requires planning, resources and systems in place to ensure that the job gets done in a timely manner. Do any of these ring true for you? If you want to know what the real return is on your exhibit investment, start with a sound follow-up strategy, which includes the right resources, the right people and the right systems. Dedicate one person to oversee the whole process and ensure that everything is done as it should be. It doesn’t take much to win at the exhibit marketing game. A little thought and the avoidance of some of the common pitfalls can mean the difference between lackluster results and those that are spectacular. © 2011 by Barry Siskind. Barry Siskind is author of Powerful Exhibit marketing. He is also President of International Training and Management Company who offers a number of services to exhibitors including the creation and implementation of a mystery-shopping program. Contact Barry at barry@siskindtraining.com for more information.